FTP is the acronym of File Transfer Protocol. For transferring the data from one computer system, to another system we are using FTP over transmission control protocol (TCP) as internet. FTP are basically used for making the bridge between host server with local machine. It is uses for transferring the website content such as website file folder images files to the host server. We can also transfer the audio and video file from local machine to the host server through FTP. 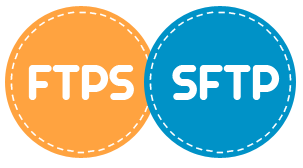 FTP provides functions to upload, download and delete files, create and delete directories, read directory contents. Graphical FTP client is using for transferring the file through browser by simply just like copy and paste in the local computer system, it is simply we can drag and drop the file to another folder which has connected to the server. It is the acronym of File Transfer Protocol Secure or simply known as FTP secure. Transferring the files over the secure sockets layer (SSL) protocol from local machine to host server. READ What is TCP/IP Reference Model? What is its use ?What are the advantage and disadvantage of TCP/IP ? The communication can be read and understood easily. Provides services for server-to-server file transfer. SSL/TLS has good authentication mechanisms. FTP and SSL/TLS support is built into many internet communication frameworks.